In due course, the OR complained to the Information Commissioner (IC) who, in October 2015, ordered that the information be disclosed. QMUL appealed against the IC’s decision (download the Notice of Appeal from 002 231115 Notice of appeal); that appeal was heard by the First-Tier Tribunal on 20-22 April 2016 in central London. The OR asked to be joined as a party to the proceedings. He was not legally represented and did not attend the hearing but made written submissions. QMUL was represented by specialist QC, Timothy Pitt-Payne, instructed by solicitors Mills & Reeve LLP. The IC was represented by junior barrister Rupert Paines, instructed by solicitor for the IC. Unfortunately, the Tribunal is not a court of record so there is no official transcript or recording of the proceedings, other than the notes taken by the Tribunal members and members of the public/press. All court proceedings are governed by the principles of Open Justice. On 17 April, I contacted the Tribunal Registrar and requested the documents for this case which were publicly available. This was refused (other than the IC’s decision notice which I already had – see above). I repeated my request; again, it was refused. On 19 April, I contacted the President of the General Regulatory Chamber (GRC) who has oversight of the Tribunals. I explained that this response was unacceptable and requested a full review of my application. He responded promptly and decided that I should be sent some of the public documents, with a further review after the hearing was concluded (download the short decision notice from 032 200416 PL Decision). On 25 April, I contacted the GRC President again, requesting the further review and asking for details of any departure from the usual principles of Open Justice during the course of the hearing. Once I have received a reply, I will do an update. I understand that the Tribunal is taking further written submissions until 29 April. I have uploaded the remaining documents at the end of this post. However, there are others which I would expect to be made generally available as part of the hearing (subject to the redaction of any Closed Material). If nothing else is forthcoming, then I would expect reasons to be given as to why that is the case. I was unable to attend the hearing so I won’t speculate on what happened there. Anecdotally, I understand that QMUL’s witnesses gave oral evidence (which may have elaborated and/or expanded on their original witness statements, as often happens) and there were submissions by counsel for QMUL and the IC, in both open and closed sessions. 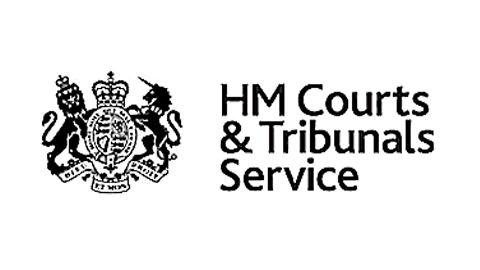 Unless a reporting restriction order is imposed by the judge, the general principles of Open Justice in the UK allow for full reporting of the open sessions of the proceedings. This can extend to real-time reporting on social media via electronic devices if permission is granted by the judge. Any departure from these principles should be explained in full by the judge, with reasons given in open court. It appears that social media was being monitored – both before and during the hearing – for evidence of ME-related activity. In the case of specific PACE-related activity, this monitoring had already become apparent, as in, for example, paragraphs 22-26 of this decision notice from March 2015. Such monitoring is now common practice in litigation generally. Once the judgment is published (sometime within the next few weeks) it will be possible to analyse both the hearing and the case in more detail. Whatever the result of the hearing, any of the parties can appeal to the Upper Tribunal on a point of law only. Notice of Appeal should normally be served within 35 days of the date on which the judgment is sent to the parties. I have lived with the illness ME since 1981. I am a Visiting Scholar at the Centre for Commercial Law Studies at QMUL. I have nothing whatsoever to do with the PACE trial other than as a patient for whom no medical treatment is available, largely as a result of the trial’s purported findings. NB. If you are using documents from this blog elsewhere, please quote the source and credit my work. Thank you. Thank you Valerie for doing this. It is important that the process is seen to be as open as possible. Thank you so much for doing this. Much appreciated. Thank you for everything you do for the ME Community.